(via @videomageu )Red Giant is partnering with software powerhouse Automatic Duck to bring users two new products: Automatic Duck Ximport AE and Automatic Duck Media Copy 4.0. Both leverage Automatic Duck’s rich experience in transferring projects between host applications and locations. Ximport AE instantly transfers entire timelines, including cuts, third-party effects, transitions and more, directly from Final Cut Pro X to Adobe After Effects. Media Copy 4.0 uses AAF and XML to vastly simplify copying and moving media files from any Final Cut Pro 7, Final Cut Pro X or Avid Media Composer/Symphony project. The addition of Ximport AE and Media Copy 4.0 to the Red Giant collection of software plug-ins for visual effects and motion graphics artists are just the first of more exciting products to come between the Red Giant and Automatic Duck collaboration. With Ximport AE, users can copy entire projects directly from Final Cut Pro X to After Effects in one easy step, without requiring conversion or XML processing. This means that effects created using third-party plugins, such as those from Red Giant, as well as a number of Final Cut Pro X features, including compound clips, transforms, retimings and more, will be transferred over seamlessly from FCP X to AE. The first comprehensive solution to bringing Final Cut Pro X edited projects into After Effects while retaining edits and added features, Ximport AE provides the best experience between both apps without the hassle of redoing all of one’s work. Media Copy 4.0 allows users to copy and move project media by reading the project’s AAF or XML export and copying referenced files to a chosen destination, making it easy to back up or move media from one location to another. 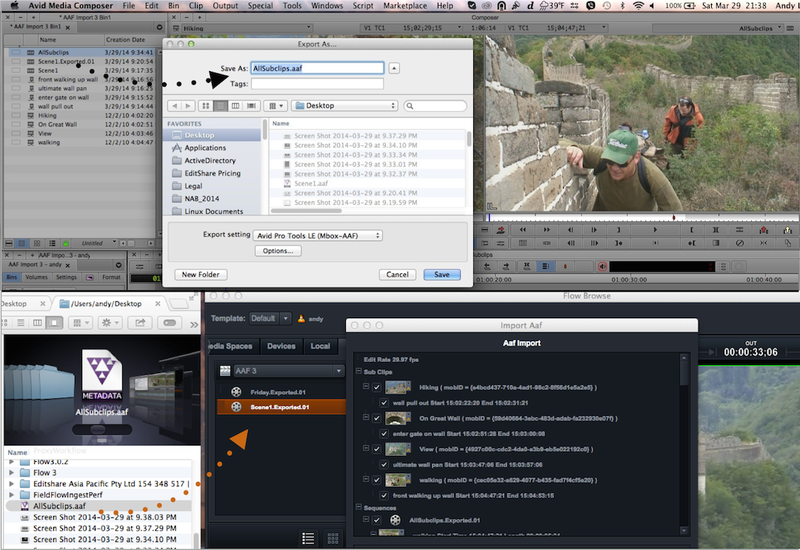 Ideal for Final Cut Pro and Avid users, Media Copy 4.0 is the quickest and simplest file collector of its kind. Users can also generate HTML reports for a record of copied files, and they have the option to process individual project files or group them all for relocation. It can be a challenge to archive your media, or to cleanly move a project and its media files from one computer or location to another, but Media Copy 4.0 makes it easy.